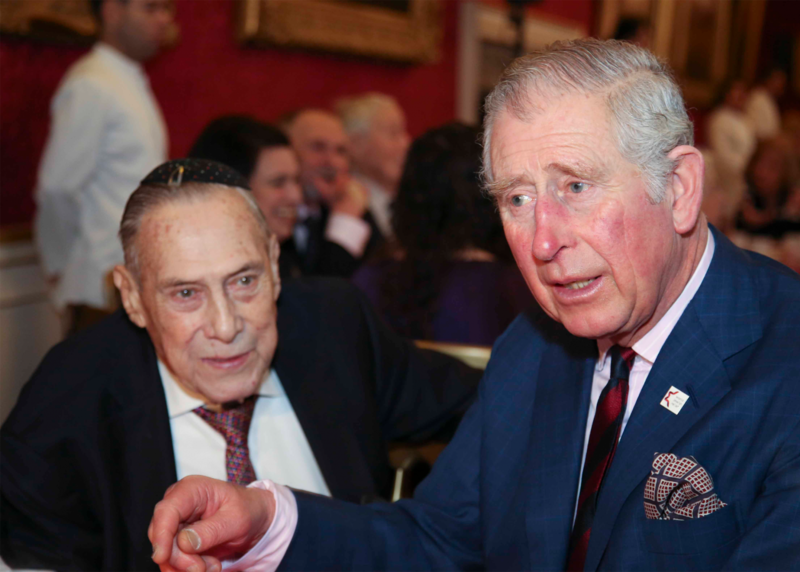 We are privileged that His Royal Highness The Prince of Wales is Patron of Holocaust Memorial Day Trust (HMDT). The Prince succeeded Her Majesty The Queen, who was Patron of HMDT from our inception in 2005 until 2015. Speaking at the ceremony, His Royal Highness said: ‘The Holocaust is an unparalleled human tragedy and an act of evil unique in history and it is for these reasons that we must always remember it and honour its Jewish victims and the Nazis' other victims. For HMD 2017, The Prince hosted a reception at St James's Palace to honour survivors of the Holocaust, Nazi Persecution and the genocides which followed in Cambodia, Rwanda, Bosnia and Darfur. You can read more about this special event here. Image: Nachmi Barsam and His Royal Highness at a special reception for survivors at St James's Palace.